Protein shakes are excellent to accompany the weight loss treatment and model the figure as they provide high quality proteins that give you prolonged satiety. Furthermore, they have no added carbohydrates or fats which prevent insulin peaks occur with consequent increased appetite and more fat deposition.These shakes are a great choice not only for those looking to burn fat and tone muscle, but also for those who want a more effective muscle recovery after intense training.Maxine’s Burn contains these ingredients:Protein: 85% of this supplement is composed of proteins of high biological value and totally free of gluten and soy proteins, which have a lower quality and are potential allergen. 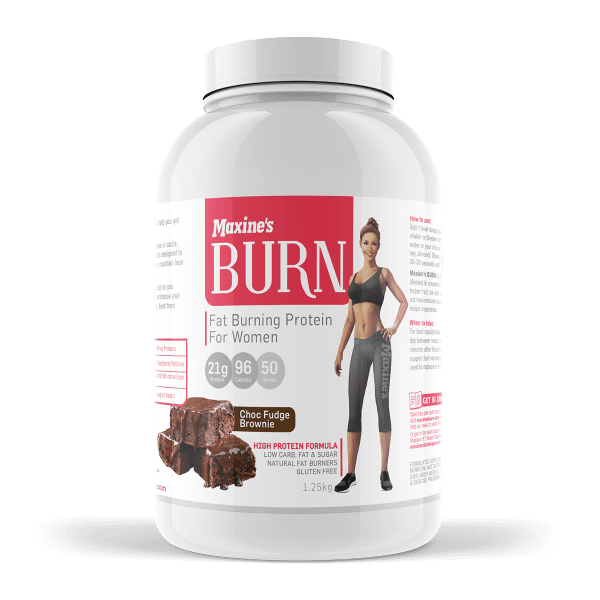 Maxine’s Burn is made up of Whey protein isolate: are one of the major nutritional quality proteins due to its amino acid composition and the high bioavailability they possess. The serum proteins obtained from cow’s milk are undergone a refining process to further increase its purity. WPI is an excellent way to provide essential amino acids available for protein synthesis as it is absorbed more slowly allowing the muscle has the nutrients necessary for tissue formation not only during the training period, but also throughout the day. 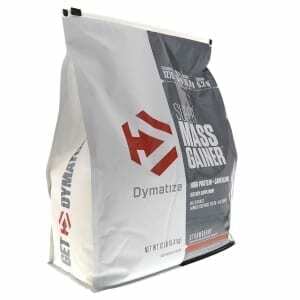 These amino acids are added to the pool body and are the essential substrate to tone and strengthen muscle mass. Whey Protein Concentrate: consists of chains of amino acid forming peptides. These molecules are similar to proteins, but their absorption and digestion is much easier. Thus, the body has immediately available aminoacids contributing to tissue synthesis, the strengthening of the immune system and the health of the intestinal cells. Calcium caseinate: caseinate is the major protein in cow’s milk. It forms a salt with calcium, once ingested, slows gastric emptying, which contributes to providing fullness for a longer period of time. Caseinate has a very complex structure and that is the reason it takes time to leave the stomach providing a long lasting amino acid release. Being a protein also helps reduce the desire for sweets. Blockers of carbohydrate utilization: According to scientific studies, some plant compounds have the ability to alter the absorption or metabolism of carbohydrates. Hydroxycitric acid (HCA): found in Garcinia Cambogia. It is a compound which inhibits the transformation of those carbohydrates ingested in excess into triglycerides. Green coffee extract: It is involved in modulating the absorption and metabolism of carbohydrates through different ways. On one hand, it reduces the absorption of compounds which elevate insulin and can be transformed into fat when are ingested in excess. Furthermore, it reduces hepatic synthesis of glucose from non-carbohydrate compounds (gluconeogenesis). As a result, blood sugar levels remain stable. This brings several benefits: no peaks of hunger, any mood swings and irritability. In addition, insulin levels remain stable so the fats can be oxidized smoothly. Facilitators of fat metabolism: Some components in foods can alter the metabolism of fat in different ways. These compounds were added to this dietary supplement in order to activate fat burning and reduce weight:L-carnitine is an amino acid found in milk and meat. It intervenes facilitating the entry of long-chain fatty acids into the cell, specifically to the mitochondria, where it is oxidized. Athletes have greater number of mitochondria in their cells because they need more nutrient oxidation to obtain energy. However, if the carnitine blood levels are not covered, the oxidation of fats can be reduced. This supplement contains carnitine in order to achieve adequate oxidation of fats.Inositol and choline: are compounds that are secreted with bile into the liver. They bind to fat to form insoluble compounds that are eliminated in the gut when are attached to dietary fibre. This promotes liver detoxification. Green Tea: contains polyphenolic compounds with high antioxidant potential. Furthermore, the presence of epigallocatechin gallate stimulates fat oxidation.Dairy Calcium: strengthens the musculoskeletal system. Moreover, helps to slow the absorption of fats in the intestine, resulting in lower energy intake.Zinc: regulates carbohydrate metabolism. Furthermore, it helps maintaining normal levels of the hormone leptin, which is synthesized by adipose tissue. This hormone with cholecystokinin regulate eating behaviour by emitting signals to the brain that promote satiety. Buy Maxine’s Burn Thermogenic Protein Shake online at The Supplement Stop Australia. AfterPay ZipPay and PayPal available. A great product at a good price. Unbeatable value and taste. I took this during my whole maxine challenge and i won’t be changing this is amazing.